Crime prevention units have also increased patrols to deter opportunistic crime such as smash-and-grabs which may occur in congested traffic. 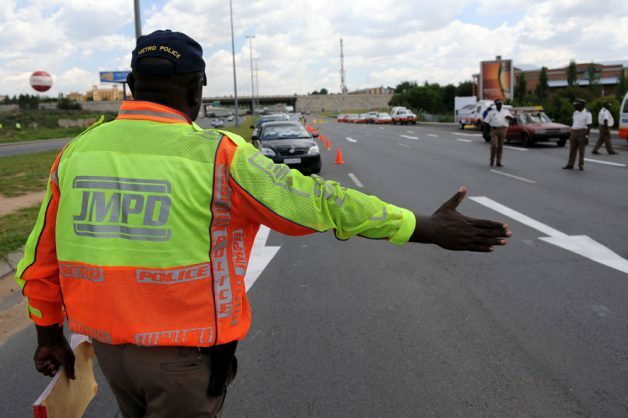 The Johannesburg Metropolitan Police Department (JMPD) has intensified its traffic management operations by deploying officers and traffic pointsmen in and around the city not only during peak hours but also during the day to ease traffic congestion. The City of Johannesburg’s Department of Public Safety on Monday appealed to residents to have patience during Eskom’s rolling black-outs which have caused traffic mayhem in the city. “The current stage four rolling black-outs which commenced on Saturday 16 March 2019 left many traffic lights down, resulting in heavy traffic congestions. To make matters worse, some of the rolling black-outs are during peak hours where traffic flow is at its highest,” department spokesperson Luyanda Longwe said. The JMPD crime prevention units within each region have increased patrols in order to deter any “opportunistic crime such as smash-and-grabs which may occur due to the congested traffic”. The department urged motorists to be more vigilant by ensuring their bags, cellphones and valuables are kept out of sight. Emergency Management Services (EMS) in the city also requested that residents be extra cautious when using candles and other flame-lit lighting devices which may cause fires when left unattended. “Residents must please ensure that candle sticks and other flame-lit lighting devices are secured properly and not left unattended. Parents are urged to take extra care of their children with open flames as these may cause injuries and serious fire accidents,” said Sun.